Bellefonte Area High School junior Gretchen Little takes her roles as Centre County Dairy Princess and First Alternate State Dairy Princess seriously. In fact, she said they’re more like having “jobs,” which allow her to act as the voice for those in the dairy industry. Little grew up in Walker Township on her family’s first generation dairy farm. Being named the Centre Co. Dairy Princess also made her eligible to run for the state title, which she placed second at in September against 27 contestants. 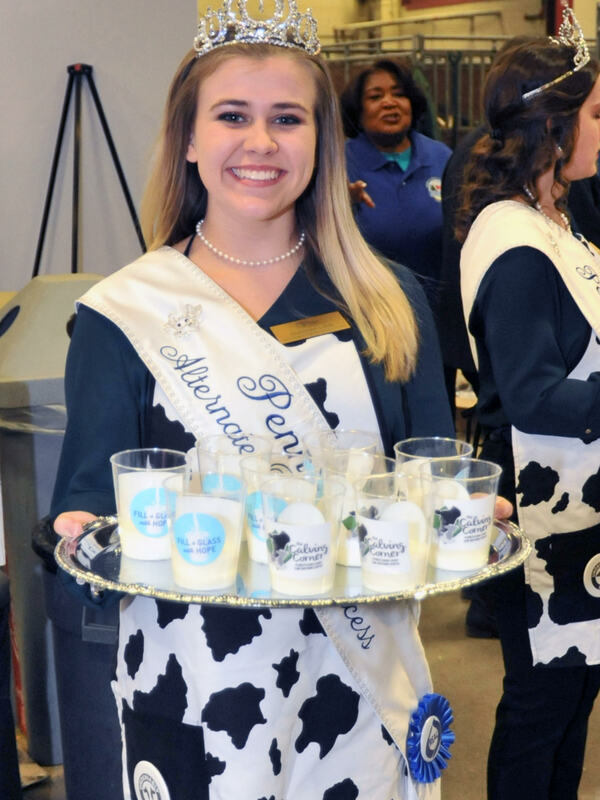 Little, along with state Dairy Princess Yvonne Longenecker, of Blair Co., and fellow alternate Casandra Blickley, of Chester Co., travel across the commonwealth with a mission to promote the dairy industry. But being on-the-go means missing some school approved by her advisers — something she misses, but nonetheless is proud of her accomplishments. “I’m doing something and out there hopefully making a difference, and though I miss the routine of school and seeing my friends and teachers all the time, I’m really proud of what I’ve done,” she said. When asked what advice she has for others wanting to run for the same titles, she enthusiastically said, “Do it!” Though she isn’t allowed to run for a second consecutive time, Little said, “To me, that’s the most rewarding thing – that the farmers are so grateful for what we’re doing and bringing back positive influences on the dairy industry,” she said.